The government’s project of social engineering towards an imagined social body where the ‘good’ has already been designed and pre-determined is very similar to the practices of the early Republican elite of Turkey in the 1920s and 30s to achieve their own ‘good’ for the people. 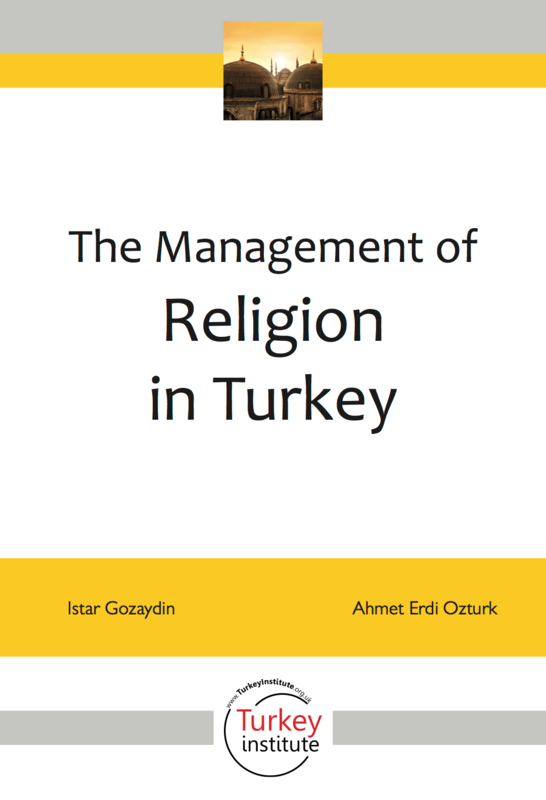 This report discusses legal regulations and political issues regarding religion in Turkey and focuses on the role, historical foundations and legal structure of the Presidency of Religious Affairs (Diyanet İşleri Başkanlığı – hereinafter ‘Diyanet’), an administrative unit founded in 1924 ‘to organize the religious affairs’ in a secular state apparatus. In order to contextualize the issue, concepts of ‘laicité’, ‘secular’, ‘secularizations’, ‘secularisms’, and ‘post- secular’ are explored. The triangle of state, society and religion, with a special focus on a decade of successive AK Party (Development and Justice Party) governments, is scrutinized in the light of the right to freedom of religion and belief in Turkey. We consider the current government’s recent policies targeting issues like abortion, artificial insemination, C-section, and population growth as examples of a social engineering project aiming to transform the social body of Turkey into one with ‘conservative’ values nourished by religious sentiments. This project of social engineering towards an imagined social body where the ‘good’ has already been designed and pre-determined is very similar to the practices of the early Republican elite of Turkey in the 1920s and 30s to achieve their own ‘good’ for the people. Thus, both with the internal dynamics and changing paradigms in the world, we think that religion should be considered, at the legal level, within the framework of the two higher constitutional principles in the Turkey of the 2000s, which without any doubt has a very different setting from that of 1924. One of these principles is freedom of religion and belief (including conscience) and the other is laicism. While the freedom to adopt and manifest a religion is fundamental, freedom from religion must also be afforded the same level of respect and protection. We believe that society must strive to achieve this balance for the sake of liberty and equality however challenging that continues to be.